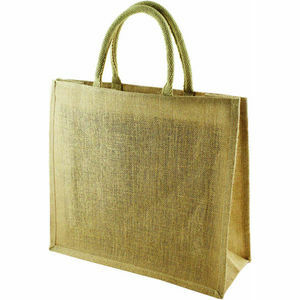 Luxury gusseted jute shopper with short cotton corded handles. Strong and reusable. 100% Natural. Printed spot colours only.